WestJet Encore has launched a new service between Toronto and Boston, the newest addition to the company's network. 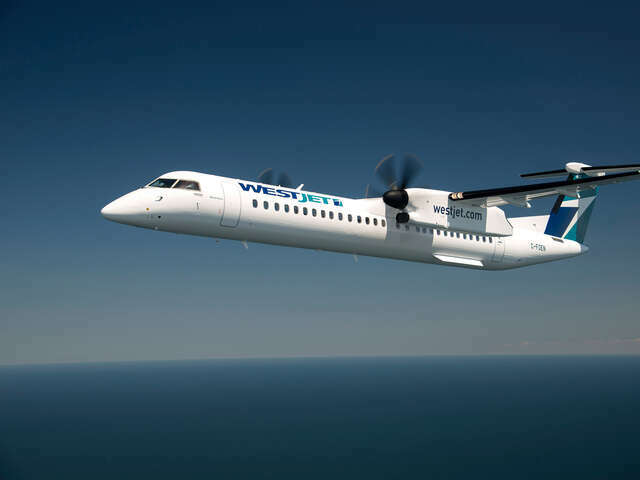 The new service will operate three times daily on WestJet Encore's fleet of Canadian-made Bombardier Q400 NextGen aircraft. In less than three years, WestJet Encore has gone from two aircraft and ten daily departures to 28 aircraft and over 130 daily departures serving 33 cities including Boston. Starting May 6, 2016, WestJet will also offer non-stop flights available year-round from Toronto and Calgary to London Gatwick, and seasonal non-stop flights available from Vancouver, Edmonton, Winnipeg and St. John's, NL. In June, WestJet Encore will also launch service to Nashville, Tennessee.